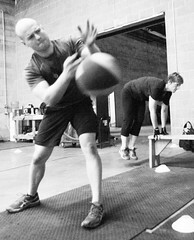 At PT Fitness, we value the importance of a lifestyle that encourages longevity. 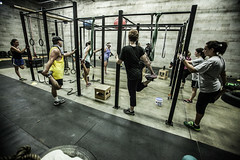 This includes safe workouts, nutritious food, and recovery. 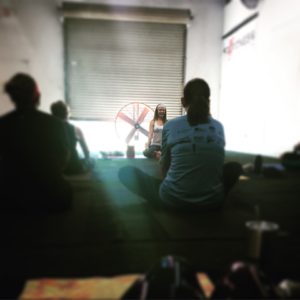 Yoga has become a staple in many of our clients’ workout regimens after we introduced public classes in the summer of 2017. 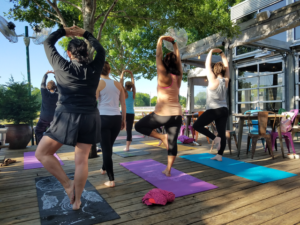 Certified Yoga Teacher, Sharon Cole, leads clients through a vinyasa, breath focused yoga sequence that parallels the program designed workouts throughout the week. Open to anyone. Click LINK for enrollment and YOGA schedule. 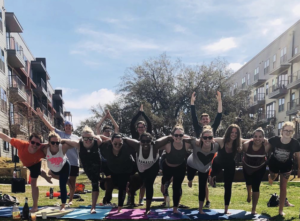 Private sessions are perfect if you’re worried about trying a group yoga class, or maybe you simply want a little more attention to enhance your already established yoga practice. 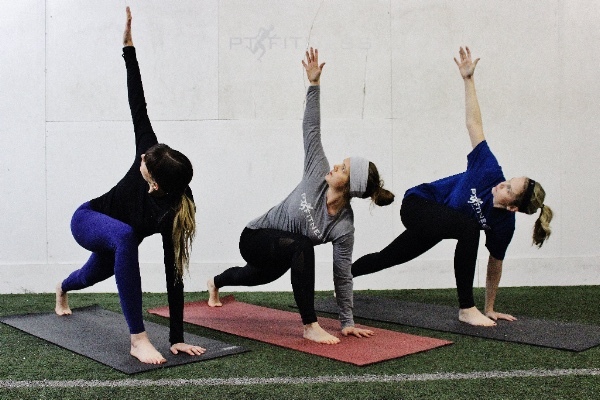 Yoga privates are a great way to learn the basics, deepen your practice, get specifically designed sequences to fit your needs/injuries, and fine tune postures and poses. – Contact Maureen to schedule. Packages available. 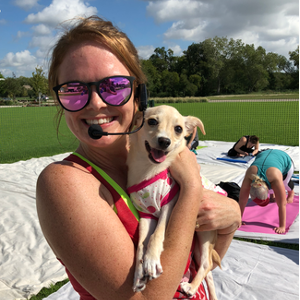 Have yoga come to you! 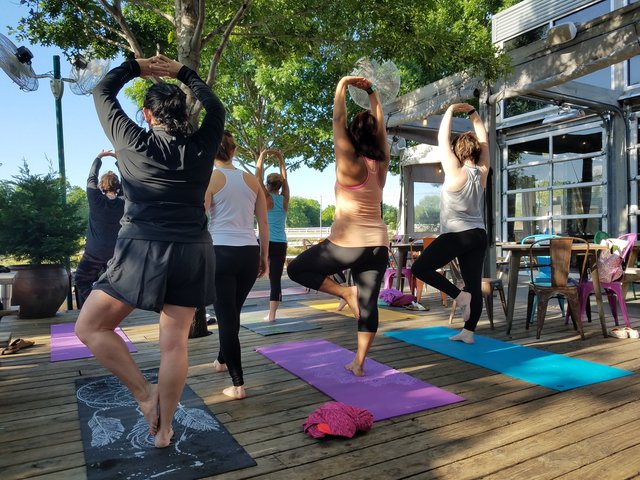 Start your girls’ night, family reunion, pre-brunch workout, pool party, corporate event, or any other gathering you can think of, with YOGA! Contact Maureen to schedule.